What Kind of Insurance Does a Trainer Need? If you are training horses and receiving compensation for training, you will need insurance. 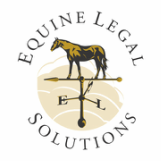 Although Equine Legal Solutions is a law firm and does not sell insurance, we often assist clients in determining their coverage needs and in negotiating coverage issues with their insurers. Here are the types of insurance we recommend, and reasons why they are advisable to have. If you have horses in training and are primarily responsible for their care, you need care, custody and control insurance. CCC insurance is very limited in scope and only provides coverage for injuries to or death of clients' horses in your care. The limits of CCC insurance are typically relatively low and therefore are often well below the fair market value of valuable horses. For this reason, you may want to require your clients to purchase mortality insurance on their horses. Note that even if you keep your clients' horses at a boarding stable that has CCC insurance, you will still want to have your own CCC insurance. If the facility owner's insurer has to pay out on a CCC claim regarding horses in your care, they may look to you to recoup their costs. Commercial liability insurance is much broader in scope than CCC insurance. It covers most types of liability claims, including negligence. Even if you have a good training contract with a liability release, you can still be sued. In the United States , it seems that almost anyone can sue almost anyone else for anything. Therefore, one of the most valuable roles of commercial liability insurance is to pay for your legal defense in the event that you are sued (not to mention any actual judgment that might be issued against you). The average negligence lawsuit defense runs well into the tens of thousands of dollars in a case that goes to trial, so the cost of commercial liability insurance is money well spent. If you train out of a facility owned by someone else, the facility owner will typically require all on-site trainers to provide proof of insurance, and to name the facility owner as an additional insured. As with CCC insurance, even if you train out of a boarding facility that has its own commercial liability insurance, you will still want to have your own liability insurance. Your activities may not be covered by the facility's policy. Even if they are covered, if the facility's commercial liability insurer has to pay out on a claim related to your negligence (or alleged negligence), the insurer may pursue you for reimbursement if you are not listed as an insured party under the policy. If you own your own horse property, you will want to have casualty insurance that covers fire, etc. With rural properties, this type of insurance is often called a "farm and ranch policy." If you have a truck and trailer, you will want to insure them as well. In many cases, your auto insurance will cover damage to the trailer you are towing (but NOT the contents of the trailer), so check with your insurance agent to clarify what your coverage terms are. If you have valuable horses of your own, you may want to consider insuring them, as your CCC insurance will not cover horses that belong to you. Mortality insurance generally makes sense only if you could not afford to replace your horse without undue financial hardship. Likewise, major medical insurance is recommended if you could not afford a several-thousand-dollar vet bill without breaking the bank. Loss of use insurance may be advisable if you have a horse whose value is heavily dependent upon his or her use (e.g., as a breeding stallion). Do be advised that some loss of use policies provide that the insurer may opt to take possession of the horse before they are obligated to pay the claim. If this would be unacceptable to you, loss of use insurance probably does not make sense for your situation.